Please note that the split payment function is only available for group bookings (bookings with two or more guests). 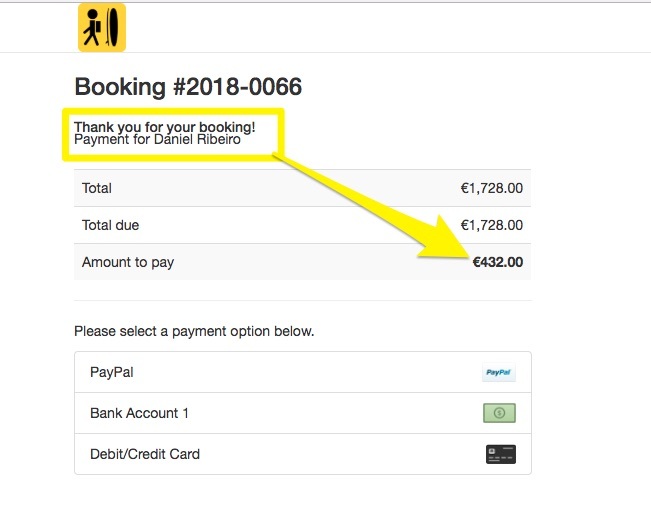 Please note that the split payment will take into consideration the corresponding deposit amount relevant to the booking. In the example below, the deposit is set to 100%. This means that the total amount of the booking will be split between all guests. 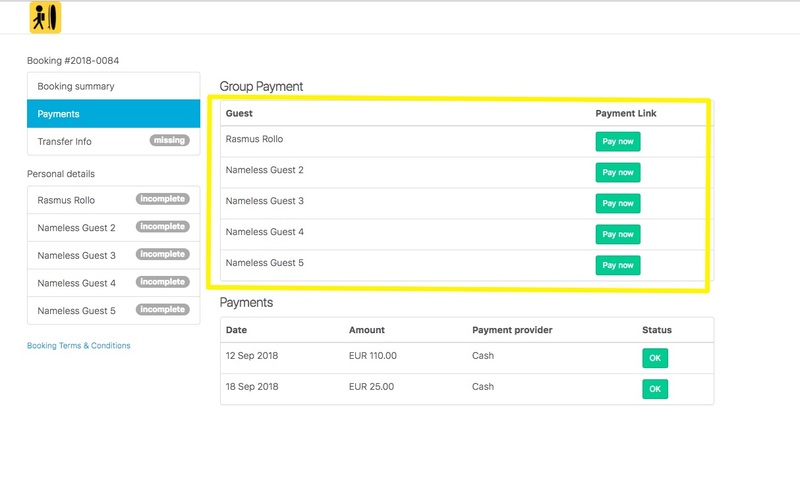 In the customer portal, each guest will have a specific payment link to pay their balance.